Photos of the Mt. Baldy stage on May 18, 2017. 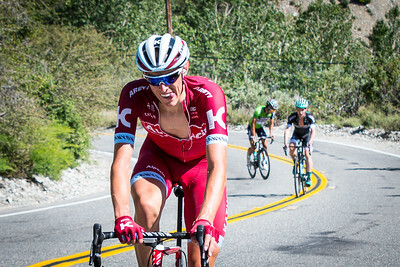 "I'm going for the KOM!" 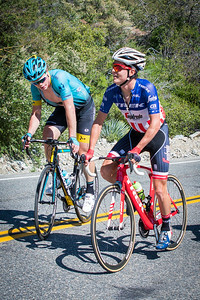 Daniel Jaramillo out sprints Evan Huffman for the first KOM on Glendora Ridge Road. Photos from Stage 5 of the 2017 Amgen Tour of California up to Mt. Baldy. 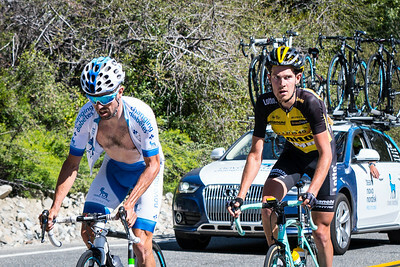 "I'm NOT getting paid enough for this gig"
The Bonk Breaker guy waits for the riders on the KOM like everyone else. Photos from Stage 5 of the 2017 Amgen Tour of California up to Mt. Baldy. "Am I the only one who needs to get out of the saddle?" 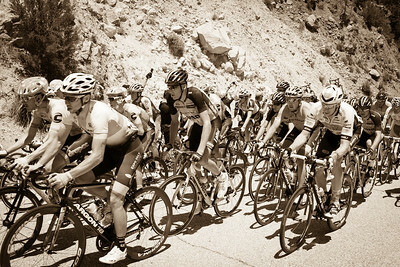 Riders head up the Glendora Ridge Road KOM. 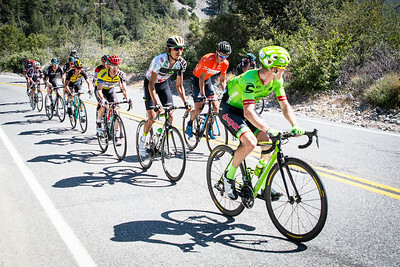 Photos from Stage 5 of the 2017 Amgen Tour of California up to Mt. Baldy. "Woohoo...I'm riding next to the world champion!" 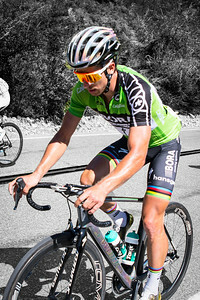 Peter Sagan rides with the pack up the Glendora Ridge Road KOM. Photos from Stage 5 of the 2017 Amgen Tour of California up to Mt. Baldy. Spectators seem more impressed with the Martin Elmiger's bike. 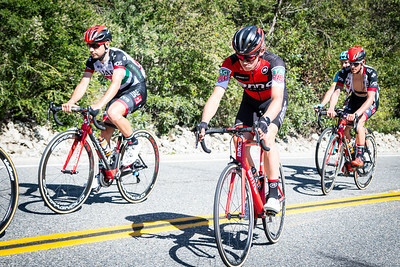 Photos from Stage 5 of the 2017 Amgen Tour of California up to Mt. Baldy. "How much climbing is there today?" 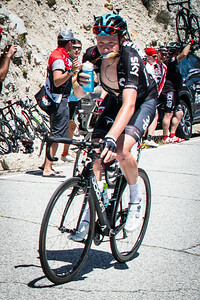 "Hey, I'm taking in all I can"
Peter Kennaugh is amazingly able to eat going up the Glendora Ridge Road KOM. 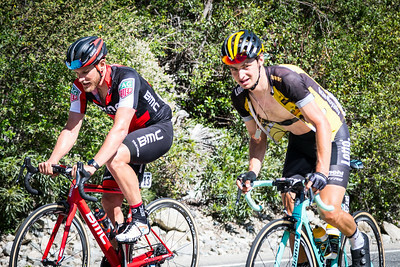 Photos from Stage 5 of the 2017 Amgen Tour of California up to Mt. Baldy. 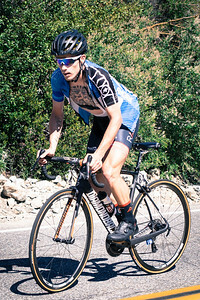 Taylor Phinney climbs the Glendora Ridge Road KOM. Photos from Stage 5 of the 2017 Amgen Tour of California up to Mt. Baldy. "There's got to be some sort of draft off the cars going uphill!" 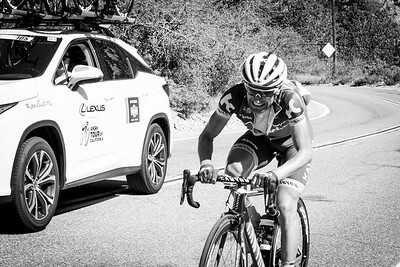 A rider sneaks in among the race vehicles going up the Glendora Ridge Road KOM. Photos from Stage 5 of the 2017 Amgen Tour of California up to Mt. Baldy. "Can you pick up the pace a little?" 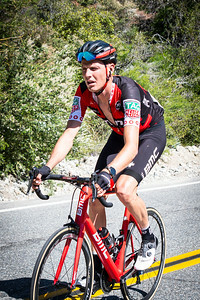 Tyler Farrar seems a little frustrated that the Jelly Belly team car isn't going faster going up the Glendora Ridge Road KOM. Photos from Stage 5 of the 2017 Amgen Tour of California up to Mt. Baldy. Guess what kind of water he's handing out! 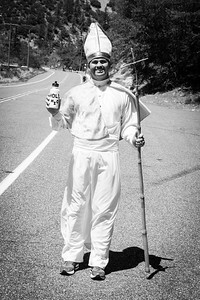 Even the pope showed up to cheer on the riders! Photos from Stage 5 of the 2017 Amgen Tour of California up to Mt. Baldy. "OK, who's going with me?" 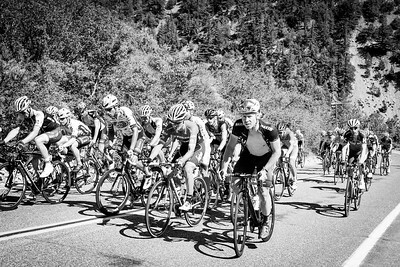 Riders begin to play tactics on the final climb towards the ski lifts. 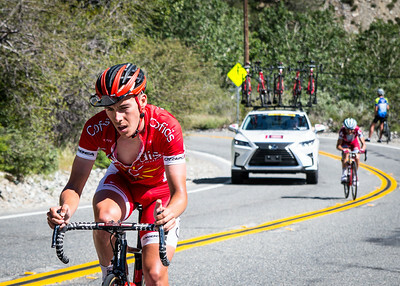 Photos from Stage 5 of the 2017 Amgen Tour of California up to Mt. Baldy. "I think I can, I think I can"
Vegard Laengen grinds away on the final climb to the ski lifts. Photos from Stage 5 of the 2017 Amgen Tour of California up to Mt. Baldy. "Hey, I'm not pulling all of the way to the top!" 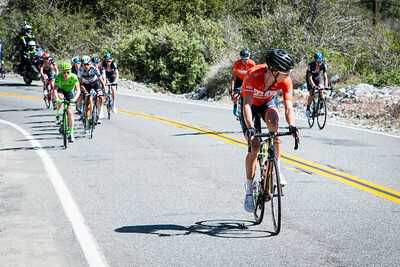 Andrew Talansky waits for a move on the final climb towards the ski lifts. Photos from Stage 5 of the 2017 Amgen Tour of California up to Mt. Baldy. 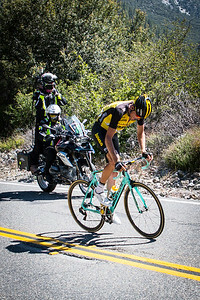 "Please go film someone else"
Robert Gesink is not having a good day. Photos from Stage 5 of the 2017 Amgen Tour of California up to Mt. Baldy. "I don't have a flat, so quit following me!" Luis Mate is well prepared for a mechanical with SRAM Neutral Support following him. Photos from Stage 5 of the 2017 Amgen Tour of California up to Mt. Baldy. "Do all of these vehicles make it feel like we should be going faster?" 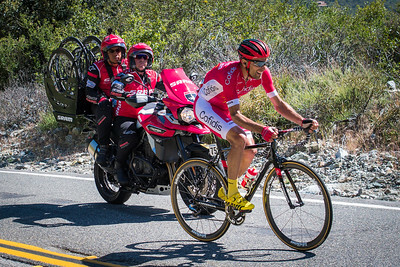 Nicolas Edet and a BMC rider work together going up the final climb towards the ski lifts. 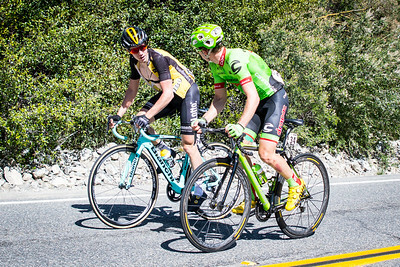 Photos from Stage 5 of the 2017 Amgen Tour of California up to Mt. Baldy. "Oh, man...a Coke would be so awesome right now!" 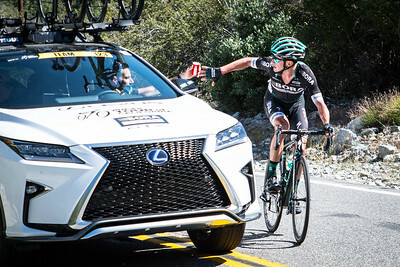 A rider grabs a much needed drink from his team car for the final couple of miles of climbing. 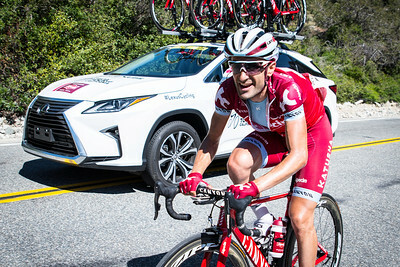 Photos from Stage 5 of the 2017 Amgen Tour of California up to Mt. Baldy. A rider is pretty exhausted and not looking forward to the 20% grades ahead of him. Photos from Stage 5 of the 2017 Amgen Tour of California up to Mt. Baldy. 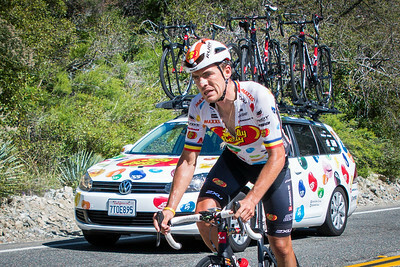 "Well, at least I'm beating somebody"
Tiago Machado grinds away with his team car next to him. 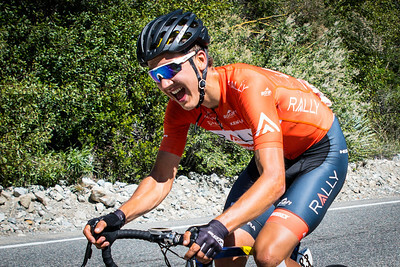 Photos from Stage 5 of the 2017 Amgen Tour of California up to Mt. Baldy. "I really want to take a nap right now"
Mathias Le Turnier is pretty exhausted and not looking forward to the 20% grades ahead of him. Photos from Stage 5 of the 2017 Amgen Tour of California up to Mt. Baldy. "Will you guys just quit following me!" 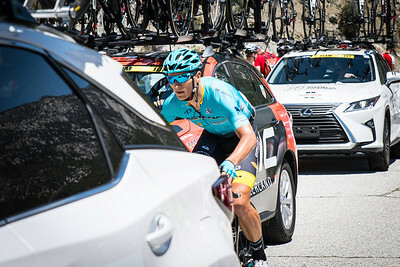 Serghei Tvetcov struggles with his team car in tow. 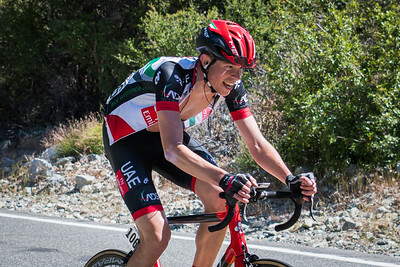 Photos from Stage 5 of the 2017 Amgen Tour of California up to Mt. Baldy. Tiago Machado takes a moment to smile for the camera. 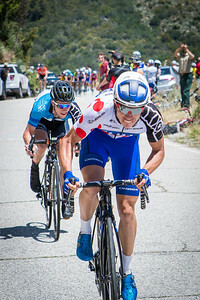 Photos from Stage 5 of the 2017 Amgen Tour of California up to Mt. Baldy. 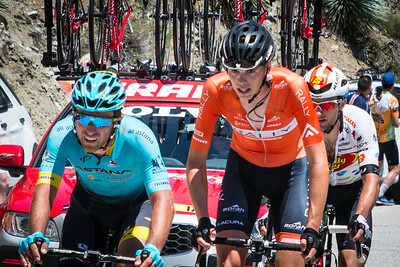 Adam De Vos is obviously giving it his all. 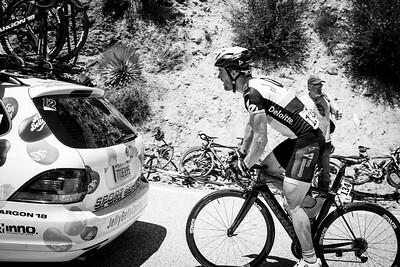 Photos from Stage 5 of the 2017 Amgen Tour of California up to Mt. Baldy. Greg Henderson is either wiping sweat from his brow, hiding his face from the camera, or both. Photos from Stage 5 of the 2017 Amgen Tour of California up to Mt. Baldy. "We climbed all of that!!??" 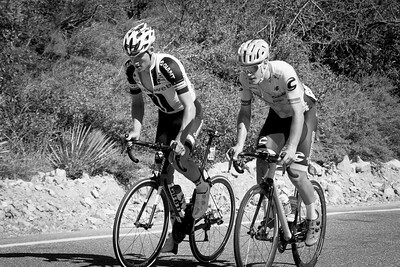 Javier Megias focuses on the climb, while Daan Olivier surveys what they've climbed. Photos from Stage 5 of the 2017 Amgen Tour of California up to Mt. Baldy. Brendan Canty and Floris De Tier strike up a conversation. Photos from Stage 5 of the 2017 Amgen Tour of California up to Mt. Baldy. 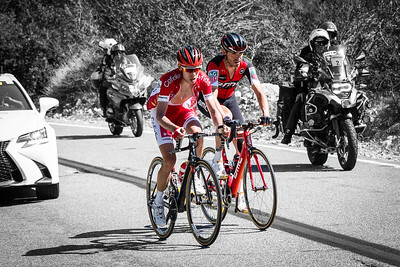 Mike Teunissen and Alberto Bettiol use each other to finish the climb. Photos from Stage 5 of the 2017 Amgen Tour of California up to Mt. Baldy. "Someone put a fork in me!" Nils Pollit's tongue says it all. Photos from Stage 5 of the 2017 Amgen Tour of California up to Mt. Baldy. Peter Sagan digs deep on the final climb to the ski lifts. Photos from Stage 5 of the 2017 Amgen Tour of California up to Mt. Baldy. 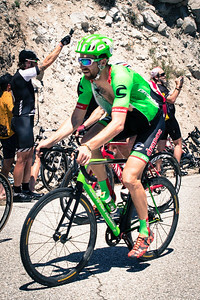 Evan Huffman shows off his body art as he attempts to keep cool on the final climb. Photos from Stage 5 of the 2017 Amgen Tour of California up to Mt. Baldy. "How come your bike isn't more Stars and Stripes?" Truls Korsaeth checks out USA champion Greg Daniel's Trek. Photos from Stage 5 of the 2017 Amgen Tour of California up to Mt. Baldy. Come on smile for the camera! 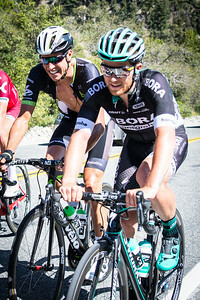 Alexey Vermeulen smiles for the camera, while Jean-Pierre Drucker is too focused on climbing . Photos from Stage 5 of the 2017 Amgen Tour of California up to Mt. Baldy. "OK, you guys are going too slow"
Floris Gerts maneuvers to get around some guys in front of him. Photos from Stage 5 of the 2017 Amgen Tour of California up to Mt. Baldy. 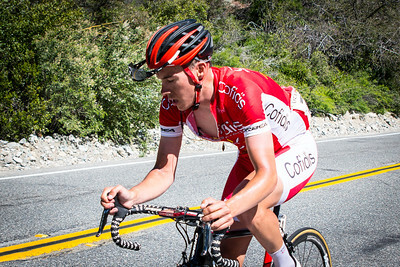 Jokes among riders help make climbing more tolerable. Photos from Stage 5 of the 2017 Amgen Tour of California up to Mt. Baldy. "Well, they can't DQ all of us"
The Autobus brings up most of the remaining riders. 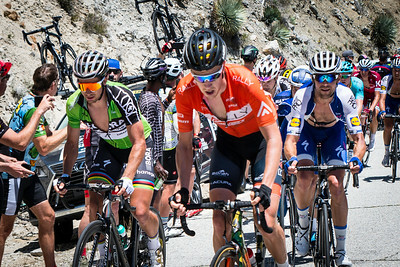 Photos from Stage 5 of the 2017 Amgen Tour of California up to Mt. Baldy.